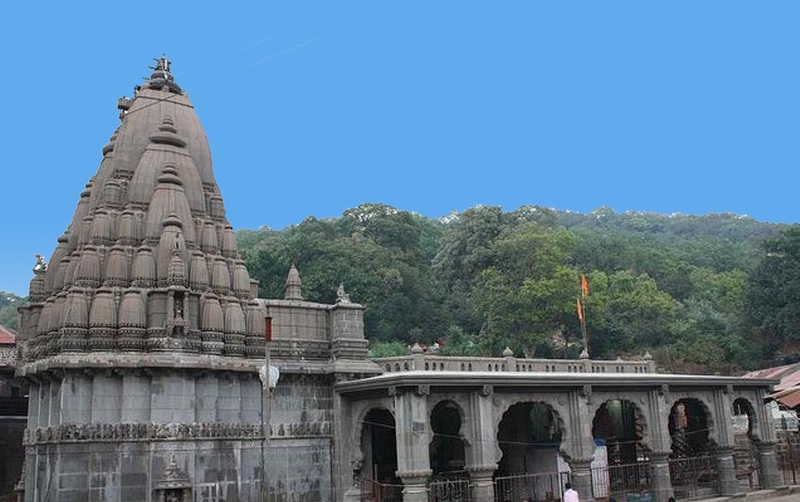 I, Bhimashankar temple am located near Pune, Maharashtra. Bhima, as the name goes, is a river that flows through me and merges with the River Krishna. I was built in the 13th century and the architecture was well done in Nagara style. The emperor Shiva made many contributions towards my development, as a temple. The holy shrine is often referred to as Jyotirlinga. Out of 64 jyotirlinga in India, 12 are considered to be extremely sacred. Out of these 12, one is me, the shrine of Bhimashankar. It is believed that the shrines of Shiva are made only in those places where the Lord appeared as column of light. The sculptors of the 13th century have carved me really well. Buddha style of carvings can be seen in my structure. There are both new and old structures in my temple. I have a huge bell at the entrance door, which is unique, and was presented to me by Chimaji Appa, one of the warriors of the 13th century. I, Bhimashankar am a place known for its wild life sanctuary as well. I am blessed with plenty of birds, animals, flowers and plants. I am known as the Red forest area. I am about 127 kms away from Pune and about 200 kms from Mumbai. State transport buses bring passengers from Pune in 5 hours. During, Mahashivratri festival, I am flooded with devotees by the buses which move to and fro daily. I am also a popular tourist destination for nature lovers.